The model is ZJX8206B. This style is similar to ZJX8206. The only difference is ZJX8206B without led display. There are some colors in this style. You can choose the color what we have,we will product for you. This one is red. This one is a Low Noise Vacuum Cleaner. What is low noise.that is its noise is 10dBA. 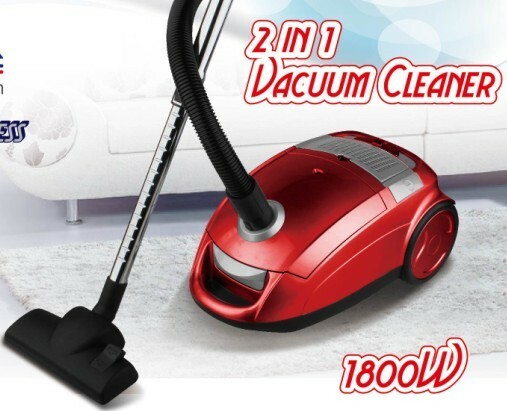 This one is also a 2 In 1 Vacuum Cleaner. What is 2 in 1,that is dual-type cyclone and dust bag two functions in one model. This Vacuum Cleaner is airflow control on handle and speed control on unit. It has safety valve to protect motor and double parking positions. It also has automatic cord rewinder and HEPA filter. 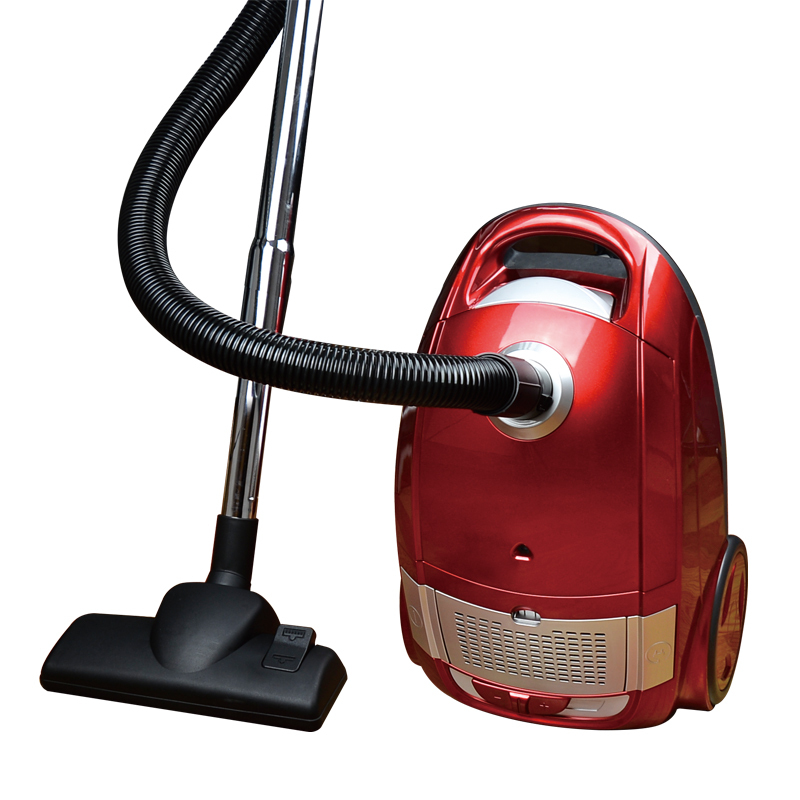 Its suction power is very high,so you can clean clearly. This one is household vacuum cleaner. 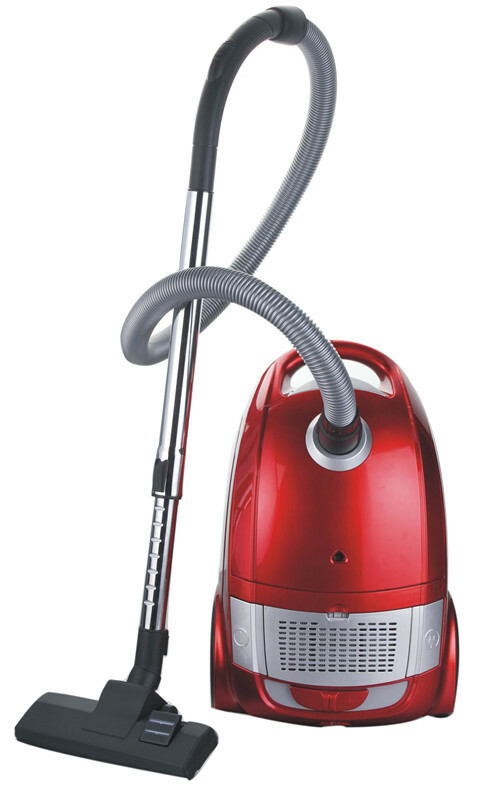 Its high suction power can help people clean the house clearly,then the environment will be better. If the air at home becomes better and better,the child will grow up more healthier. I think that's the most important,because child is the future of country. 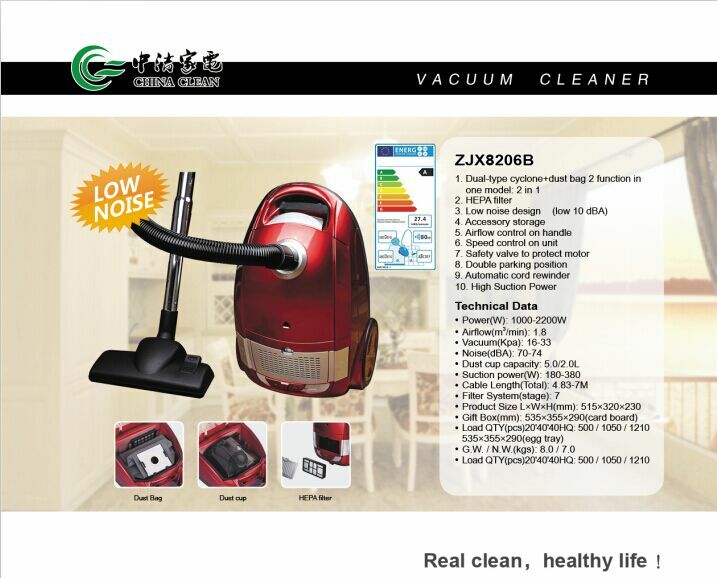 Now there are some technical data blow,it can let you know this vacuum cleaner more clearly,so please have a look.